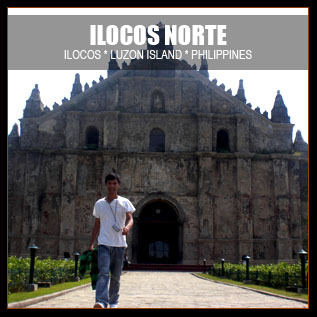 [VIGAN] This is the first museum-hotel in PH outside Metro Manila. Let's check out what are the things to do inside at night. 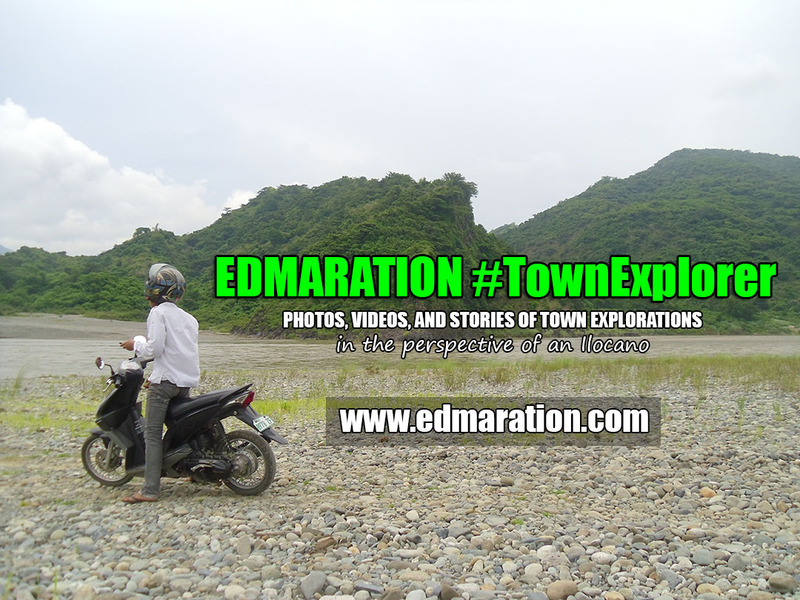 "...what I saw was an instant relief without dissociating from the Vigan culture and heritage." How time flies... I used to see that corner of General Luna Street and Ventura de los Reyes Street as a creepy haunted spot in the heritage city where I grew up. I may not memorize the exact view of every corner but I am at least familiar with them. I am familiar with the houses and the buildings. 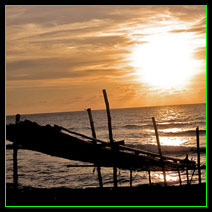 At times, I even know who are the families living in those ancestral houses. But on February 8, 2014, opening day of the museum-hotel, that street corner that used to be perceived by my senses as eerie shone with elegance. 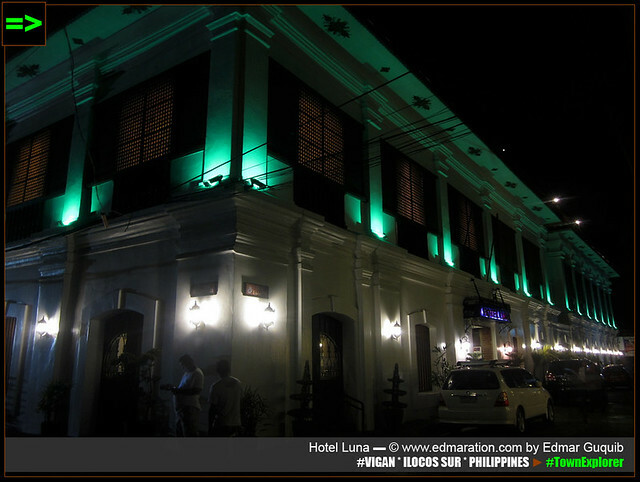 [VIGAN] Hotel Luna glows in the dark. 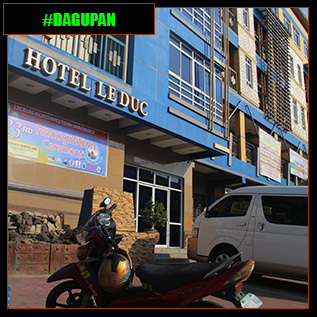 The external details of the hotel is a common scene in Vigan. The lighting effects? Well, many hotels here have done it too. But the change is remarkable since that ancestral house used to look dilapidated, abandoned and lonely. 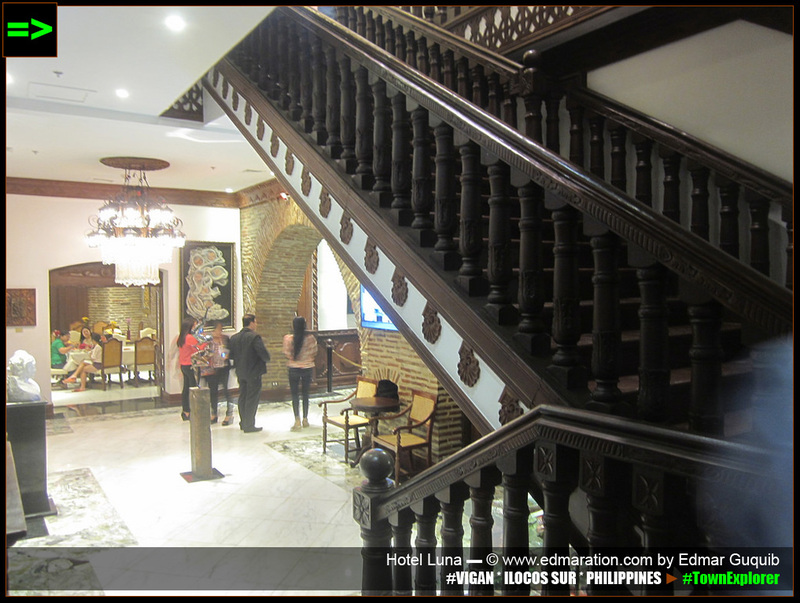 And for the fact that it is a museum-hotel makes this restored ancestral house interesting more than any other Vigan houses in the Mestizo District. It was after sunset when I visited this museum-hotel for the first time. The elegance that I first witnessed was a perspective of the dark. 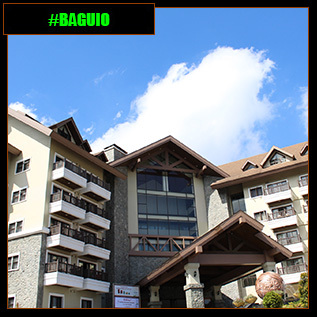 I swear the daylight has another way of unleashing its dashing aura. 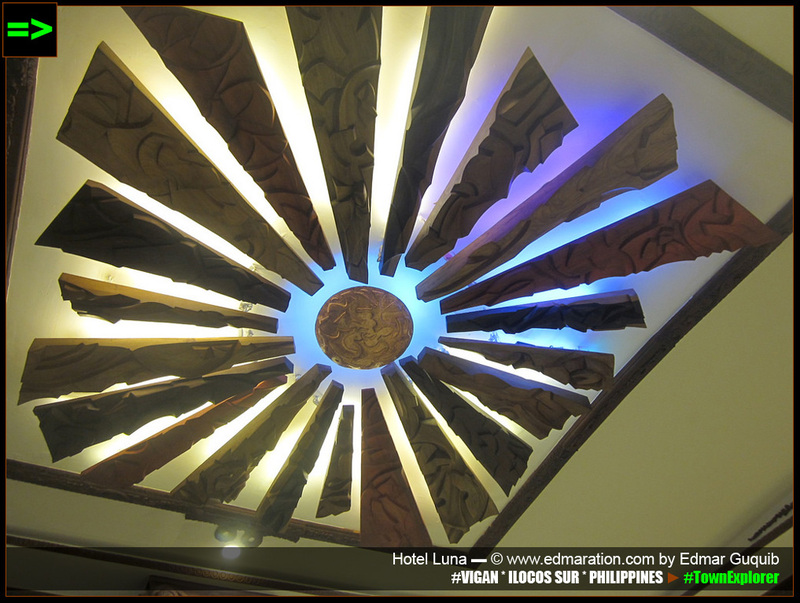 [VIGAN] Just after you enter the hotel, look up. 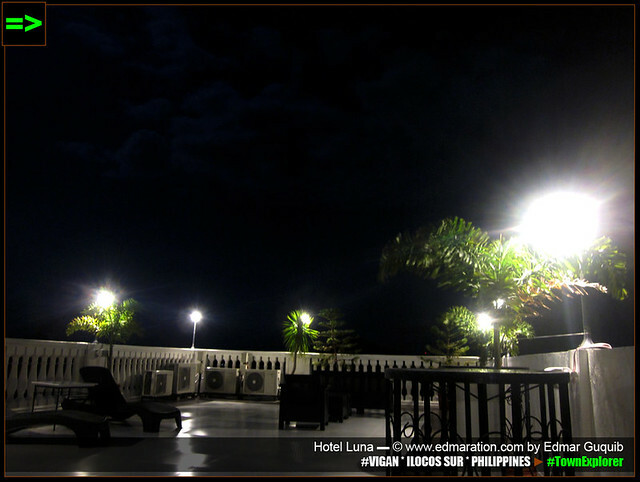 Forget about daytime for the mean time because I'm going to feature this museum-hotel in night mode. The interior is where the lighting effects become sensational. Bulbs and lamps emitting different colors lay a handful of grace magnifying the beauty of different sculpture and ceilings with obviously delicate details. 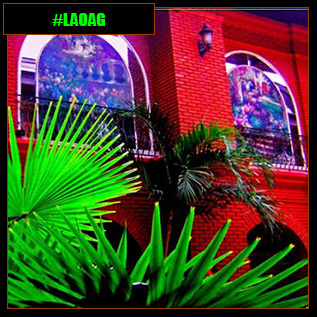 Being a son of Vigan, a full-blooded Ilocano and a Bigueño who see these ancestral houses everyday, my standard of a beautiful ancestral house is high. 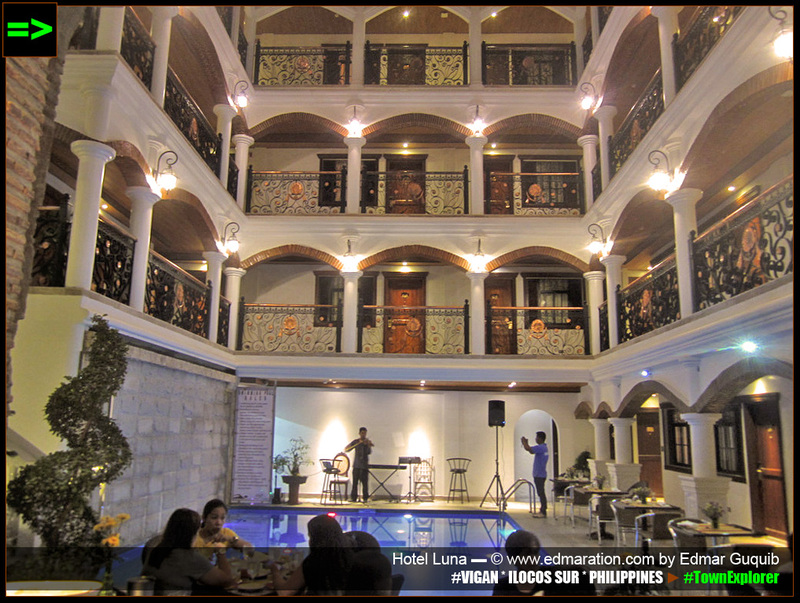 I first thought this was just a typical hotel in Vigan restored to attract tourists (and not us, Bigueños, because as I said, we see ancestral houses everyday). However, as I entered the hotel, I was impressed. It has set the bar higher. 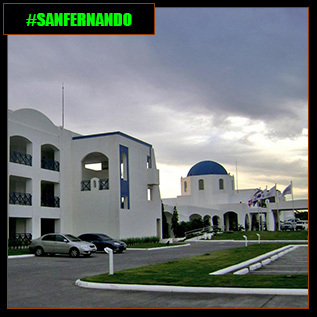 Now every Bigueño should not miss visiting this hotel if they want to learn. This is my new standard of a beautiful 'restored' ancestral house. 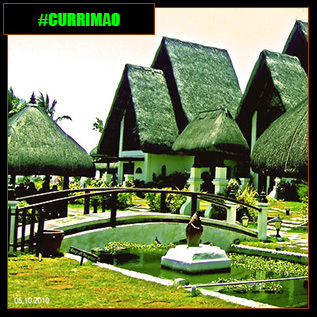 I am particular with the 'restored' character because nothing beats an ancestral house in their original vintage unaltered look. 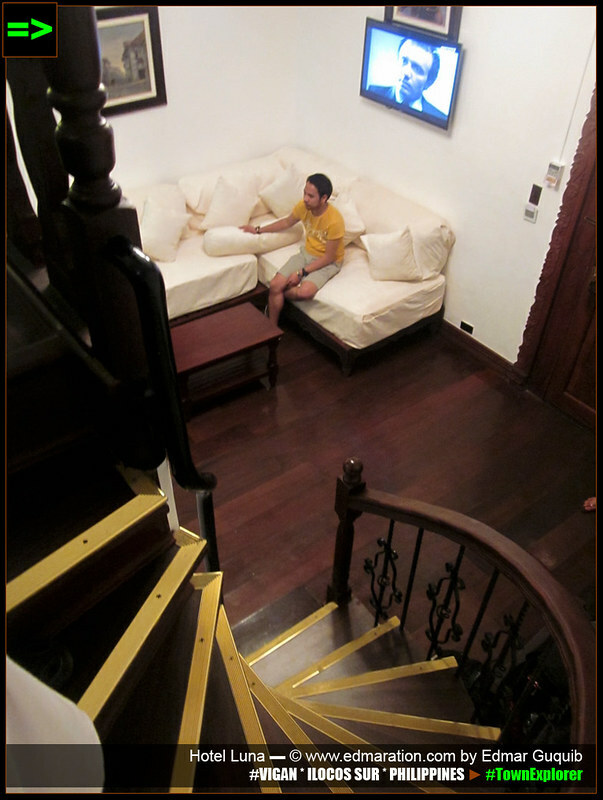 [VIGAN] This stair is the original. 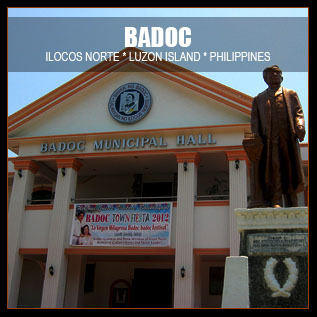 FAST FACTS: Ilocos Norte is the home province of Ferdinand Marcos, the Philippine president who served the longest time. 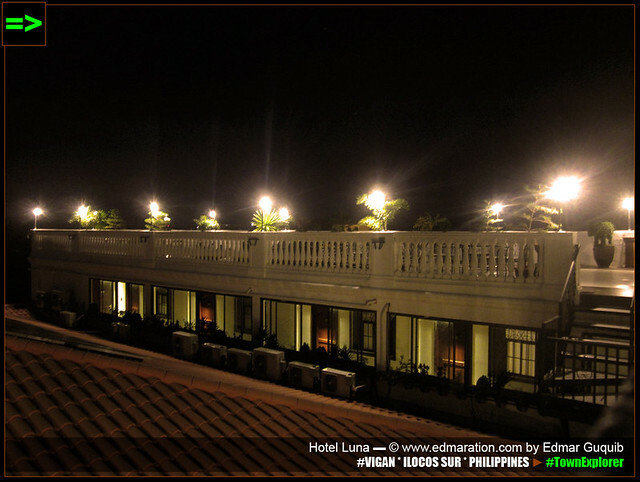 It also has fine beaches in Pagudpud and Paoay Church, a world heritage site..
Another thing you have to witness and experience inside the Hotel Luna by night is the poolside dining with the relaxing music played by a violinist. 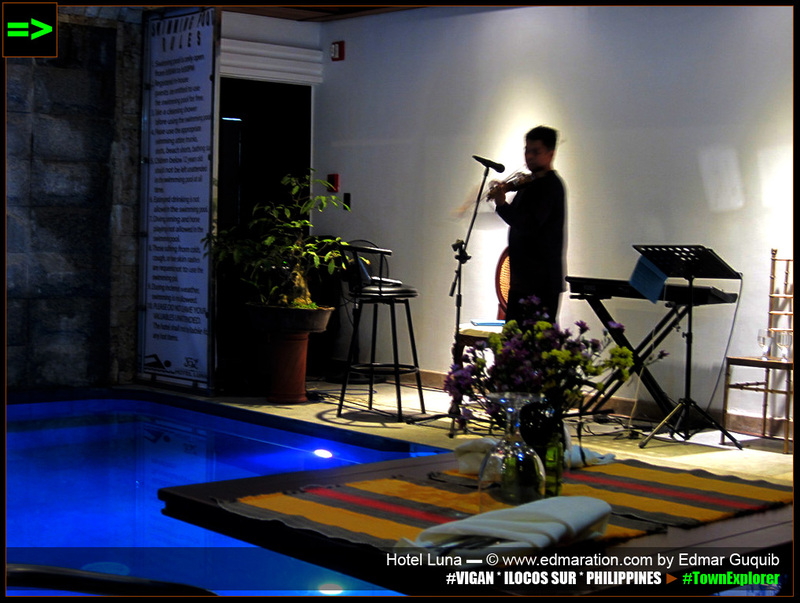 [VIGAN] A violinist serenade every guest. 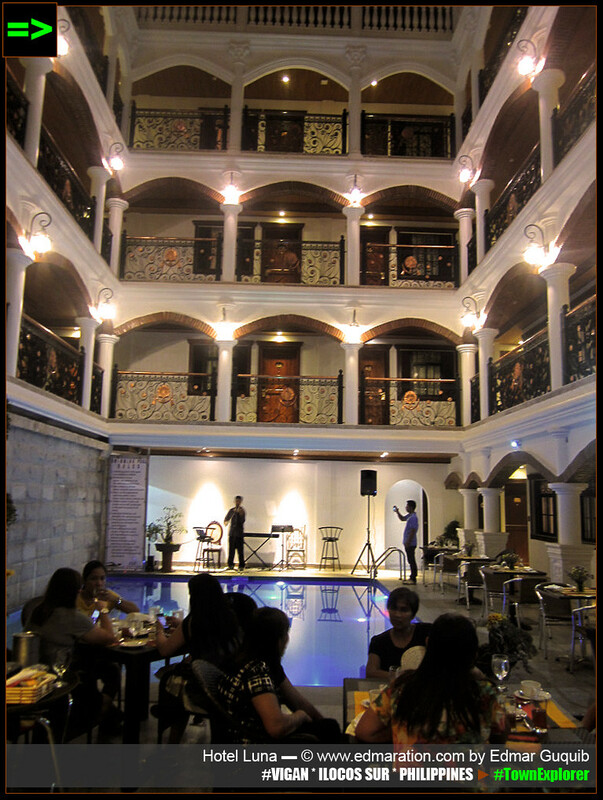 [VIGAN] The pool is surrounded by this grand structure. 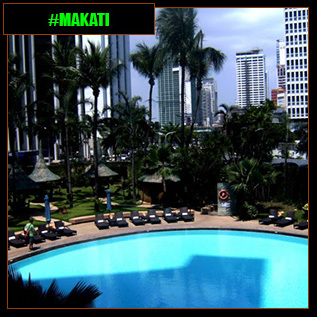 The pool emits a blue light while the violinist do the jazz and classic instrumentals on the playlist. It was just beautiful. 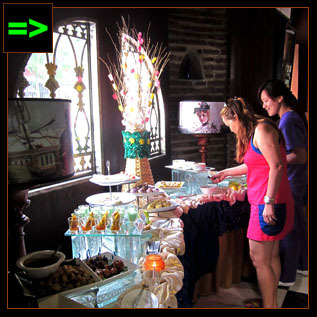 Guests can actually enjoy the buffet with the ambiance of vintage elegance. 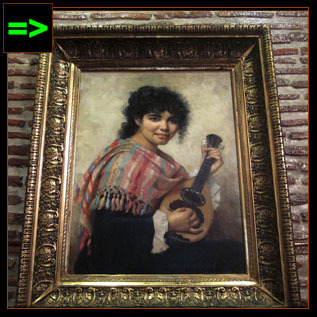 Another night activity to do in this museum hotel is to visit the rooftop, lie down (there are trendy couches you can use), drink your basi and enjoy the view of the ancestral houses clustered nearby and the houses lining the Calle Crisologo. [VIGAN] Sky is the limit. 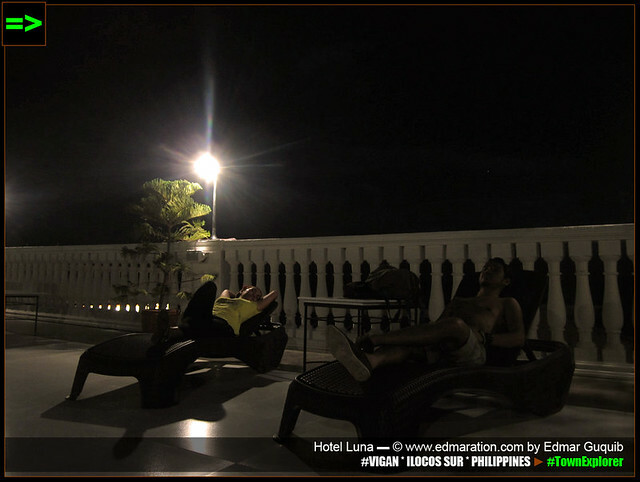 [VIGAN] Carla and Darwin relaxing under the moon. 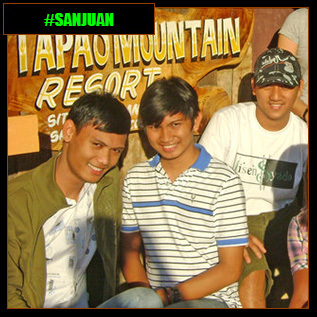 Together with some travel blogger friends Darwin, Julius, Carla and Christian, we witnessed the supermoon with the Ilocano wine basi made from sugarcane as the centerpiece. 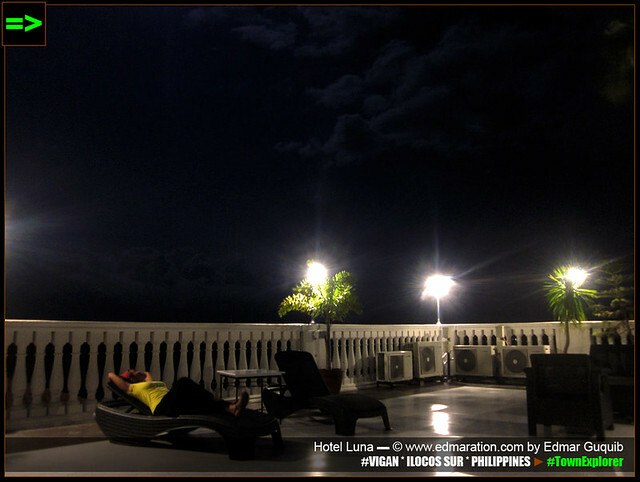 Hotel Luna also gives the best Vigan experience when you stay with them. 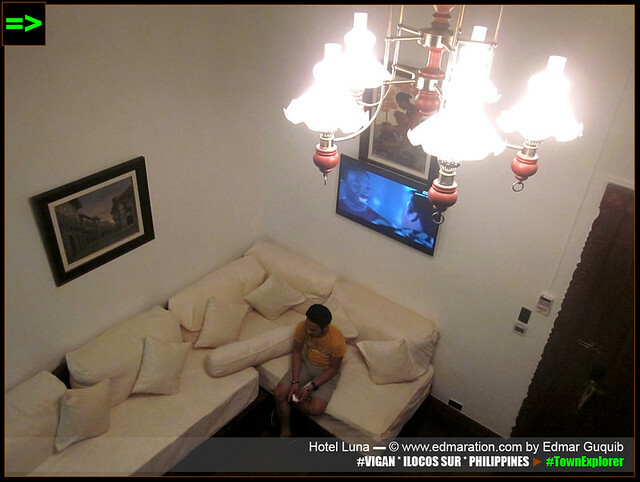 I mean, even the rooms were carefully designed to appear Vigan-ish. They will let you experience and see how the rooms of the elite of the past looked like. 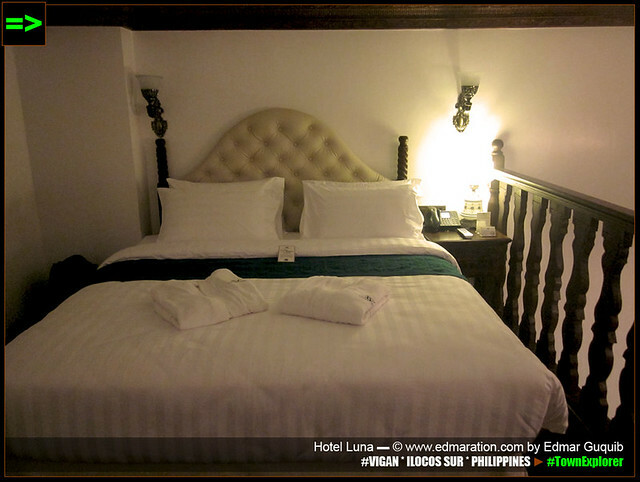 Some of the rooms like the executive suite have beds that depict the rich culture and heritage of Vigan. 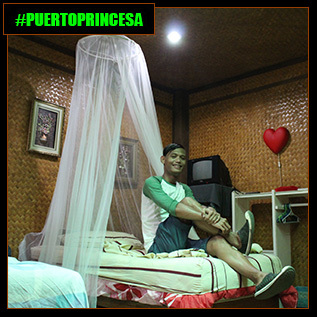 The designs were based on the traditional bed used by elite mestizos and heirs. I was given the chance to stay in one of their loft suites. The great loft suite has erased all my stress. 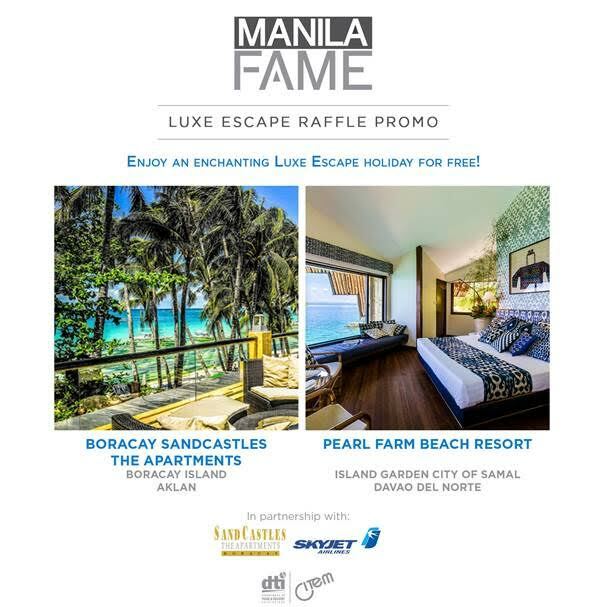 I entered the room tired from a walking tour around the city with travel blogger friends and what I saw was an instant relief without dissociating from the Vigan culture and heritage. TEASER: "I can't believe when the museum-tour guide told me that the painting I am seeing is an original work of Juan Luna, one of the greatest Filipino artists in history." TEASER ▬ You don't need to die to reach heaven. Like me, I jumped to the 67th heaven without becoming immortal. TEASER ▬ Its blue color is so noticeable from the road so you won't get lost.